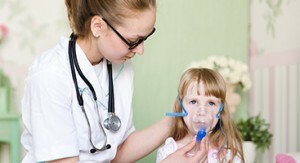 One of the services that we offer is home health care for pediatric patients. We’re proud to offer this service for many reasons! First, pediatric patients are some of the most rewarding ones to work with in our line of work. Secondly, it’s great to see the relief on a parent’s face when we show up. They know that they can rely on our home health care team to help them provide their child with the highest level of care. Our highly-trained team of medical caregivers can help you provide the health care that your child needs in the comfort of your own home. We’ll match you with the caregiver that has the skills, medical knowledge, and experience that meet your needs and will provide the right level of care for your child. Being the parents of a medically fragile child is a uniquely difficult position. From the first call to our team, we do everything we can to help support parents with the care of their children. We help them stay at home with their family. Instead of having to stay in a hospital or clinic, parents can be at home with their other children and keep their family together. They can focus on other tasks around the house…or self-care. A break to clean up the kitchen, put on a load of laundry or even take a nice hot shower is always welcome. We offer peace-of-mind that their child is getting the best care. Our highly-trained team is here to help you provide the highest level of care for your child. If you are the parent or caregiver of a child currently undergoing treatment for medical issues such as cancer, respiratory functions, neuromuscular disorder or other medical issues, get in touch with our home health care team in North Carolina today. Click on the button below to get in touch with us.